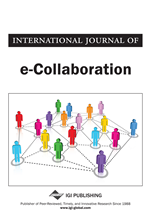 This article presents a new concept for supporting electronic collaboration, operations, and relationships among trading partners in the value chain without hindering human autonomy. Although autonomous intelligent agents, or electronic robots (e-bots), can be used to inform this endeavor, the article advocates the development of e-sensors, i.e., software based units with capabilities beyond intelligent agent’s functionality. E-sensors are hardware-software capable of perceiving, reacting and learning from its interactive experience through the supply chain, rather than just searching for data and information through the network and reacting to it. E-sensors can help avoid the “bullwhip” effect. The article briefly reviews the related intelligent agent and supply chain literature and the technological gap between fields. It articulates a demand-driven, sense-and-response system for sustaining e-collaboration and e-business operations as well as monitoring products and processes. As a proof of concept, this research aimed a test solution at a single supply chain partner within one stage of the process.